The .VIP domain has observed a dynamic growth in registrations and popularity, particularly in China where it has recently been awarded “China’s Most Welcomed New gTLD 2016”. 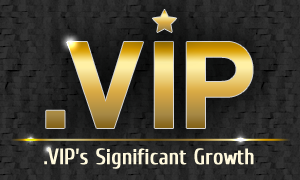 The .VIP extension has attained a significant number of registrations since its launch on 17 May 2016. Within first 24 hours since its release, the domain gained approximately 170,000 registrations. Among 77 registrars servicing registration of .VIP names, 37 were from China. As of 9 June 2016, there have been 407,519 .VIP names registered, which places the domain within the top 10 among new gTLDs. The outlook on .VIP’s renewal rates and long-term reputation is very optimistic, which is good news for investors. During a premium name auction held in China at the Global Domain Summit, eight .VIP names were auctioned with the aggregate gross proceeds before auction fees of about US$283,000. To date, 20 names have been sold in three auctions since .VIP’s release with gross proceeds before auction fees of nearly US$632,000. The .VIP Registry has plans to make additional premium names available via auctions on a regular basis throughout the next twelve months. The .VIP domain has been particularly attractive in China where it is closely associated with honour and prestige. The domain has recently been awarded “Outstanding Performer in the Chinese IDC industry” and “China’s Most Welcomed New gTLD 2016”.